The police chief, citing lack of criminal charges against the officer, said that he deserved a second chance. BELLAIRE, Ohio — The former Cleveland police officer who fatally shot 12-year-old Tamir Rice has been hired by a police department in a small Ohio village. The Times Leader reports Bellaire's police chief Richard Flanagan confirmed Friday he hired Timothy Loehmann as a part-time officer. The officer, who is white, was fired last year for reasons not related to Rice's death. He was deemed “unfit for duty" and dismissed for giving false information on his job application to the Cleveland Division of Police. In November 2014, Loehmann and his then-partner, Frank Garmback, responded to a 911 call that reported a possible man waving a gun at a recreation center in Cleveland. When the officers arrived they encountered Rice, which is when Loehmann, citing credible fear, jumped out of his patrol car and fired his service weapon twice. In late 2015, the Grand Jury declined to indict both officers on criminal charges. This decision came after an expert review of video of the incident showed that Rice had his hands in his pocket, and was playing with a pellet gun. 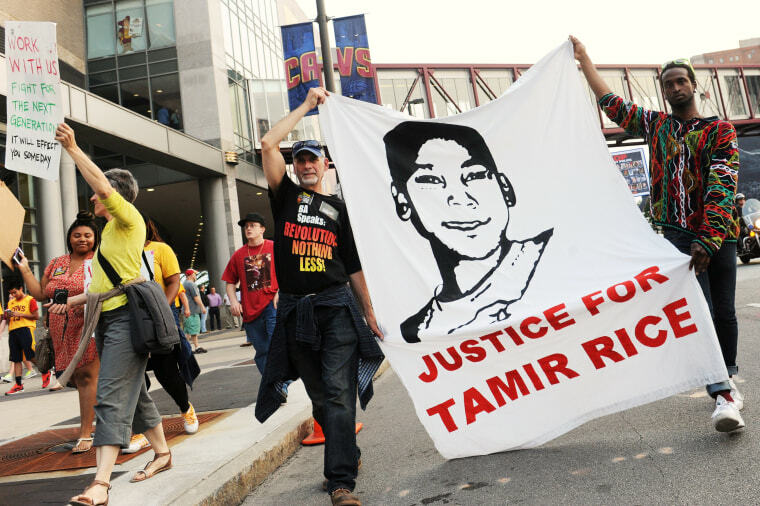 "The death of Tamir Rice was an absolute tragedy," Cuyahoga County prosecutor Timothy McGinty said after a grand jury decided not to indict the officers. "But it was not, by the law that binds us, a crime." Bellaire's police chief, also citing lack of criminal charges for hiring the embattled officer, said that Loehmann deserves a second chance. News of Loehmann's recent employment comes after the recent conviction of Chicago police officer Jason Van Dyke after fatally shooting 17-year-old Laquan McDonald 16 times in October 2014.